Funarium is the largest indoor play facility in the heart of Bangkok. It is a perfect place for families with children up to age 13 to spend time together. Why Funarium is special ? Funarium is Bangkok’s largest indoor soft-play area all kids can’t miss to love. Covering the space of 2,000 square meters, this international-standard air-conditioned playground offers a wide range of activities like painting, crafts making, bike riding, roller blading and cooking as well as two giant play areas where your kids (up to 13 years old) will be having so much fun while you, parents, are chatting over cups of coffee. Besides play, Funarium has loads of extra activities for the children every weekend. This is a place to PARTY + PLAY + EAT + MEET FRIENDS for families with young kids in the heart of Bangkok. What to explore at Funarium? The smallest kids have their own dedicated area in the far right hand corner. Here you will find a mini slide, small ball pool and soft blocks to build towers with. At certain points of the day the Funarium team will appear and perform songs and dances. The audience of toddlers watching the show during my trip were dancing along to rhymes such as the Hokey Cokey. For bigger kids the gigantic climbing structure is impressive, two storeys high with a four lane silver speed slide, a ball blower, trampoline and plenty of secret passageways for kids to clamber through and around. There is even a mini flying fox to swing around like Tarzan or Jane. Outdoors you will find a small sandpit and some cute tepee tents. Older children will also enjoy shooting hoops the basketball court, which is surrounded by a race track, where kids of any age can bike or scoot around, plenty of different sized bikes are available and some have stabilisers attached. Funarium also have activities for young ones who are interested in a bit of quiet time. Next to the cafe you will find a small supervised kitchen area for some baking and upstairs is the arts centre, where budding painters can get creative. There is plenty of supervision at Funarium Indoor Playground, so older kids can be left to their own devices. Their wrist bands allow them to purchase food and extra activities without needing cash. Children will definitely love their time at Funarium and adults can enjoy a bit of a break, there is even a parent’s room with comfy armchairs, TV and magazines. How to get to Funarium? By Car: Funarium can be easily accessed from both Sukhumvit Road and Rama 4 roads. From Sukhumvit, enter Sukhumvit Soi 26 until you reach K Village shopping center (about 1 km.) Turn left and Funarium is around 200 meters away. From Rama 4, turn left at Big C Super Centre into Soi Attakravi. Funarium is 150 meters away on the left hand side. By BTS: Get off at Phrom Phong station and take a taxi to Funarium. (See 'By Car/Taxi' section.) Walking from the skytrain is not recommended. Funarium can also provide snacks and/or lunches with drinks at various budget. You can become a member of Funarium to get more membership benefits. On Fri - Sun and Public Holidays, this playground will be opened until 19:00. Occasionally, we may be closed for private functions and this will be advertised via this website. So you should visit the official website to get detail information. Adults with age 60 years old or older must show proof of identity to be eligible. Don't forget that now senior citizens get in FREE everyday at fun-narium. Great activities for children and his parents! Have food court. Don't forget your socks, but fine You can buy here. This place is excellent for kids. It's our 2nd visit (the last time was dec2013) and the kids loved it. Entrance fee is 320B for kids and 110B for adults. The price is for full day (weekday) play which is really reasonable. There are Huge slides, rock climbing, trampoline and mini activities such as arts n craft or cycling. 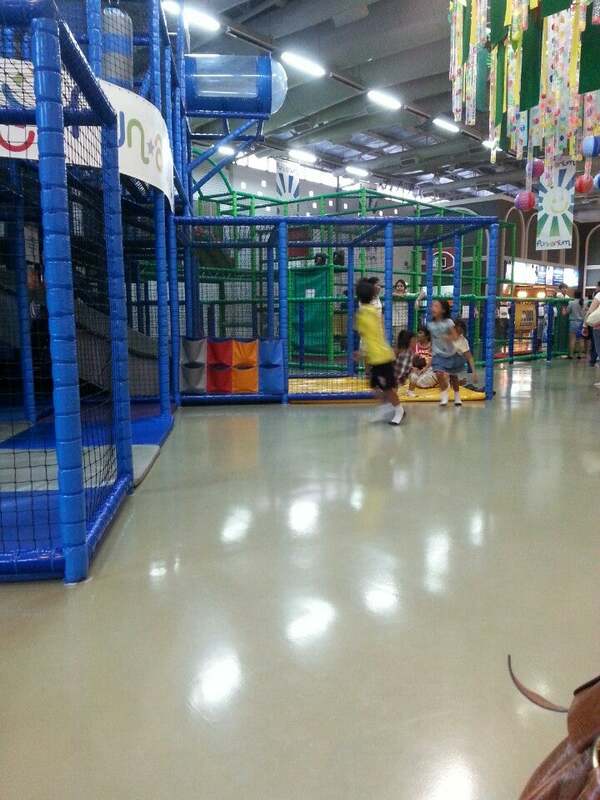 The place is huge and kids can run freely in the comfort of aircon. The in house cafe provides food at reasonable price too. 95B for fish n chips (kids portion) 160B for fried rice with crab(normal size) Drinks such as iced coffee are slightly pricey compared to outside so bring your own water as kids do get thirsty after running around. Do be prepared to spend at least 3h here! On a side note, most taxi drivers don't know this place well. As long as you manage to get to K village (sukumvit soi 26 area), you should be able to reach Funarium through a side gate near the carpark. Nearest BTS is Phrom Phong but it's quite a distance away from Funarium.